Business Systems & Consultants, Inc. (BSC) provides a portfolio of various Enterprise Content Management (ECM) software that can effectively implement the proper document and content management system for your organization. 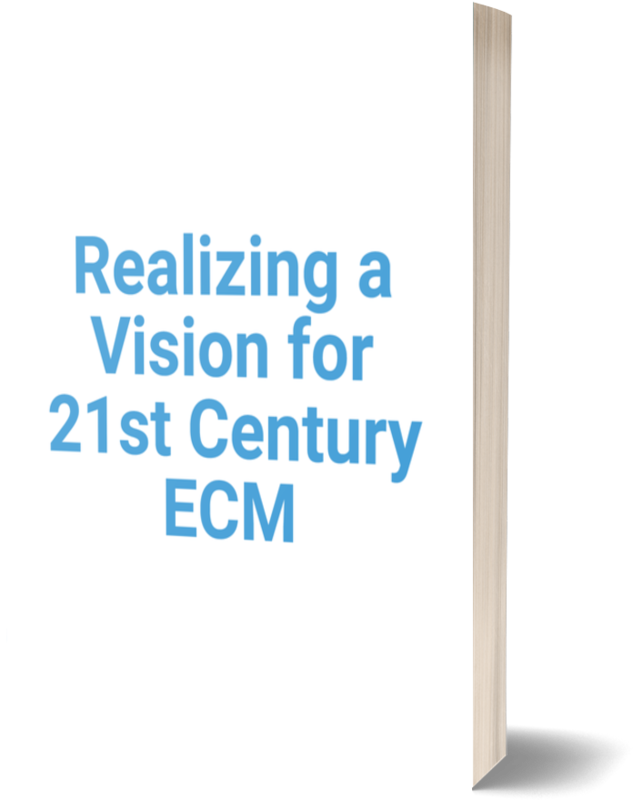 ECM solutions can streamline the content management of your organization, allowing your workforce to perform more efficiently and effectively. ECM systems not only captures the image but the data contained in the documents. Through OCR, you can configure the system to only extract the information needed. ECM also eliminates the need for manual entry and makes information easily accessible wherever needed. Enterprise Content Management applications improve the operation of any organization by connecting users with the information they need. Whether it be from a desktop, laptop, or smartphone, information is available right at your fingertips. BSC can construct the optimal document management system for your organization’s needs. Does your organization need to improve customer service with more rapid document retrieval? Does your staff need to increase productivity? With a variety of implementation methods and a vast portfolio of software, we help fulfill your needs and requirements. OCR (Optical Character Recognition) is a system that provides a full alphanumeric recognition of printed or handwritten characters at electronic speed by simply scanning the document. Documents containing character images can be scanned then interpreted by a recognition engine that turns images of handwritten or printed characters into ASCII data (machine-readable characters). Therefore, OCR allows users to quickly automate data capture from documents and eliminate manual keystrokes. Your organization’s new system also allows for a full text and PDF like search when information needs to be retrieved. OCR technology provides complete form processing and document capture solutions. Usually, OCR uses a modular architecture that is open, scalable, programmable, and sometimes workflow controlled. It includes forms definition, scanning, image pre-processing, and recognition capabilities. One of the primary reasons that data is collected from documents with OCR is to create databases that can be queried to manage business processes and to view potential business outcomes. This database can also be used to perform full text and PDF like searches when information is needed. BI, or Business Intelligence, provides historical, current, and predictive views of business operations. BSC has built a data warehouse application that connects disparate data so that unrealized associations of data can be used to improve operations and profitability. Every precaution is taken in securing your organization’s sensitive information. Information is protected by granting access to only authorized users such as employees, auditors, customers, and suppliers. These authorized users may only see documents they have been pre-authorized to view. To further ensure the security of your information other safeguards are put into place; for example, permanent log records, accessible for years prove who viewed and/or modified documents. We take every precaution in protecting critical documents and information. Making the switch to an online document management system can seem daunting, but here at BSC, we provide the skills, expertise and management tools needed to successfully implement a document and information management solution to manage countless types of content. Many organizations have realized that a digitally transformed business creates a more efficient and more competitive organization. Opentext AX: As ECM becomes rebranded and labelled as Content management by organizations such as Gartner, BSC solutions are at the forefront. OpenText Application Xtender is a content management solution for business process applications both onsite and off premises. As a proven leading document and content management and workflow solution, Application Xtender is a Microsoft .NET platform that integrates with Microsoft Office applications and ERP platforms. AX scans, stores, retrieves, and preserves information effortlessly and deploys in the cloud or onsite. Onbase One ECM transforms organizations. Hyland has been an industry innovator since the beginning of document management and is highly respected both as an organization and for their award-winning technology. One is a platform that scales from a single application in one department to and enterprise and world-wide solution for ECM and Content Management Services. FileBound’s cloud-based cloud ECM application lets you harness the power of workflow automation without the normal expense and drain on scarce IT resources. BSC clients can quickly deploy without the hassle, delays, and complexity of an on-prem solution. BSC has chosen to recommend FileBound technology as they have been the clear market leader in Cloud ECM deployments for over a decade.